NEW YORK, December 28. /TASS/. 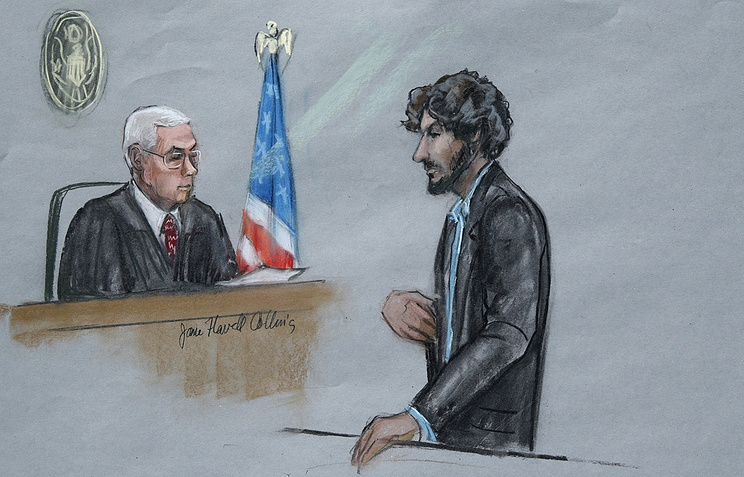 The defense team of Dzhokhar Tsarnayev, sentenced to death for the deadly blast near the finish line of the Boston marathon in 2013, has appealed the verdict, according to court documents. Twin blasts with an interval of 12 seconds rocked downtown Boston on April 15, 2013, when the traditional Boston Marathon was taking place. Three people were killed and more than 230 were injured. Several days later, police identified the suspected organizers as Tamerlan and Dzhokhar Tsarnaev. Tamerlan was killed in the police operation to detain him, while his brother was injured and arrested. In April 2015, a jury found him guilty on all charges and sentenced him to death. In their appeal, the defense team argues that Tsarnayev should not have been tried in Boston, and the judge’s decision not to hear the case in another city, as requested by the defense, violated the defendant’s right for a fair trial and impartial verdict. According to attorneys, members of the Boston jury could not be fully impartial, because the attack took place in their city. Besides, the defense team says that the media coverage of the blast and the trial was not impartial and could possibly affect the jury’s verdict. Since being convicted in 2015, Tsarnaev, 25, has been kept in solitary confinement at the federal Supermax prison in Florence, Colorado. The date of his execution has not been set yet, pending the appeal process. Hey Buddy!, I found this information for you: "Boston marathon bomber appeals his death sentence". Here is the website link: https://russophile.org/boston-marathon-bomber-appeals-his-death-sentence/. Thank you.